Murder Most Foul. What does lynching look like in 21st Century America? This is one version. Another season, another reason to kill an unarmed Black man in America. "It's a very painful day for so many New Yorkers," said New York City Mayor Bill de Blasio. Citing "centuries of racism that have brought us to this day," Mayor Bill de Blasio says that the fact that protesters have rallied around the statement "Black lives matter" reflects a sad situation, that such an idea needs to be both stated and repeated. "It's a phrase that should never have to be said," the mayor said. "It should be self-evident." De Blasio also said that after the grand jury's decision, other inquiries continue, including one by the New York Police Department. Saying that he had just spoken with Attorney General Eric Holder, de Blasio said that the federal government is "clearly engaged and poised to act." The U S Justice Department will launch a federal civil rights investigation after the Staten Island grand jury declined to bring charges in the case of Eric Garner, an African American who died this summer after a white New York City police officer placed him in an apparent chokehold during an arrest. "It's a very emotional day for our city. It's a very painful day for so many New Yorkers," Mayor Bill de Blasio said. 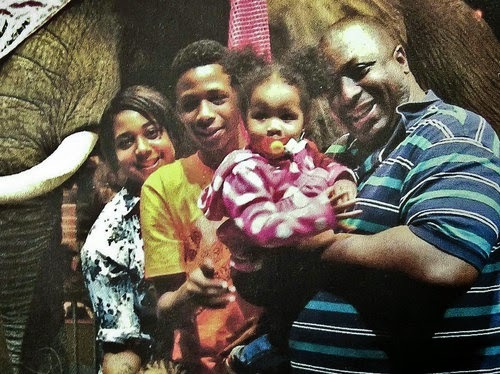 "We're grieving — again — over the loss of Eric Garner, who was a father, a husband, a son, a good man — a man who should be with us, and isn't." There were five Staten island police officers involved in the chocking death of Garner. Other officers present on July 17 were not facing indictment as they were offered immunity in exchange for testimony. 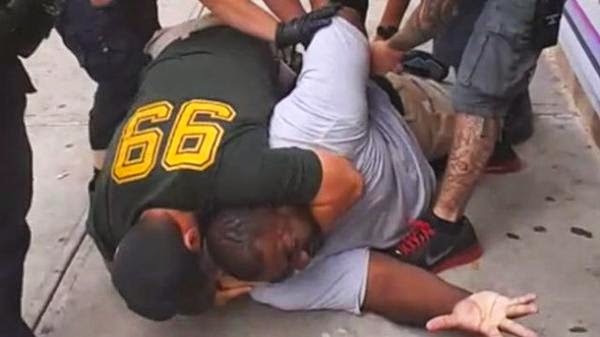 The New York City medical examiner’s office classified Garner’s death as homicide due to “compression of chest and prone positioning during physical restraint by police.” The office also mentioned Garner’s asthma and hypertensive cardiovascular disease as contributing factors. 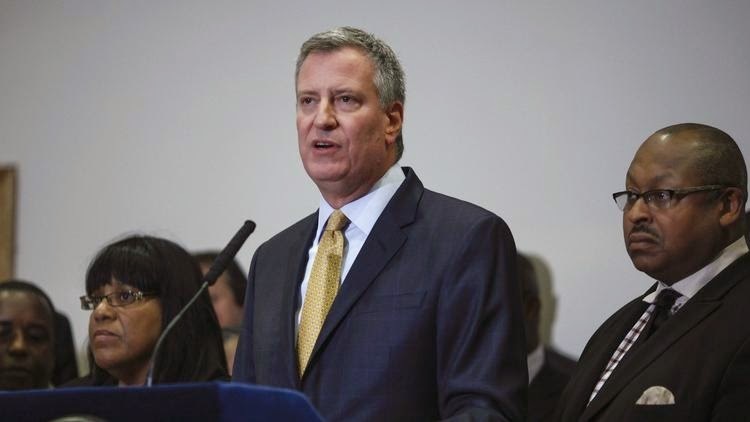 The NYPD will conduct an internal investigation, Mayor Bill de Blasio said. New York’s two U.S. senators, Charles Schumer (D) and Kirsten Gillibrand (D), had said they would urge the Justice Department to investigate. Richmond County District Attorney Daniel M. Donovan Jr. is seeking a court order that would allow him to release “specific information in connection with this grand jury investigation". Donovan has not commented on which charges the grand jury considered. Legal experts agree that the grand jury could have considered lesser homicide charges, including second-degree manslaughter and criminally negligent homicide. Since the New York City medical examiner’s office classified Garner’s death as homicide, it was reasonable to assume that some one was responsible for Garner's death, since he did not die of natural causes. As such, a reasonable Grand Jury member would have been constrained to return an indictment for negligent homicide, at the very least. Not to do that flies in the face of all logic, and renders the Grand Jury process devoid of all credibility. 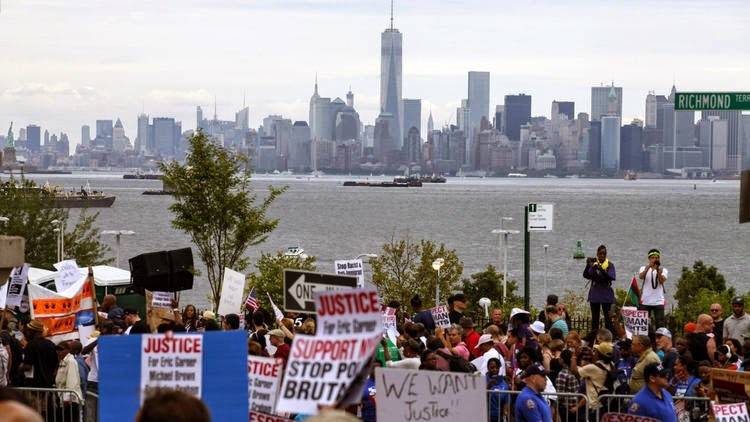 Peaceful protests began immediately in New York City. 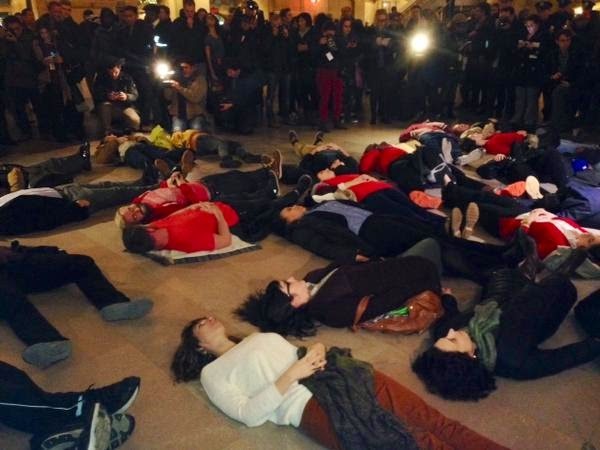 Above is a "Die-In' at New York's Grand Central Train Station. 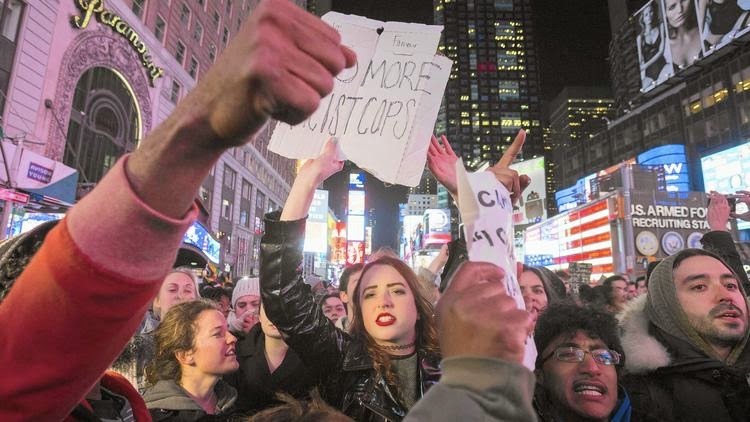 Largely peaceful demonstrations gathered strength and snarled traffic in locations throughout the city, including Grand Central Terminal, Times Square and near Rockefeller Center, after it was announced that no criminal charges would be brought against officer Daniel Pantaleo in the death of Eric Garner.